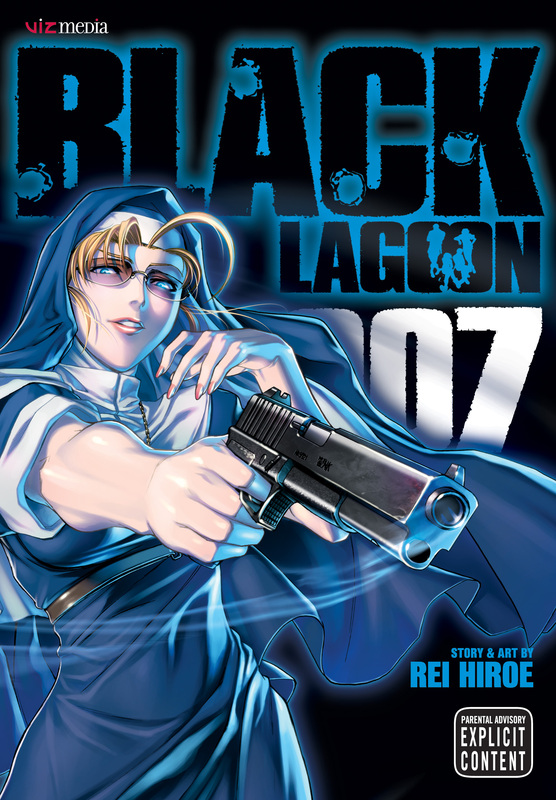 Black Lagoon volume 7 was illustrated be Reu Hiroe and was published on 10th of October, 2007. This volume features the next nine chapters (47-55), read the review for the sixth volume here. Roberta has gone awol and is hiding somewhere in Roanapur. She is killing U.S. Military operatives who are associated with the booming of the late Lovelace master. This is sending all the local gangs into a fit knowing that too much attention from the U.S. would be devastating for the lifestyle of the residents of Ronanapur. Garcia Lovelace has traveled to Ronanapur with his maid Fabioa in searcher of Roberta. He appeals to Mr. Chang of the Triad and the Lagoon Traders to aid him in his search, however, knowing the risks both groups are reluctant to accept. Rock, sharing compassion with younger children decides he will help them but he will need to convince the rest of his crew if he’s going to have any chance of success. My Review: This is not meant as a criticism but I think that this arc is really taking its time to kick off, there is just so much build up that I’m starting to lose interest, I really hope that things pick up soon. For this volume, in particular, there was have very little action at all with only a short firefight at the start and the rest being mostly political stuff. Probably my favorite moment in this volume was at the start of chapter 54 where we see one of Roberta’s rare appearances but it depicts her going insane, probably from over medicating, we also get to see her sporting a new outfit in the final panel of the book. I rate this manga 2/5.